No Area Events listed for this period. The Town of Burke enjoys a great location - Intertate 91 access is only a few miles away and Route 5, which runs north-south along the length of Vermont and through the center of the Northeast Kingdom, passes right through West Burke. 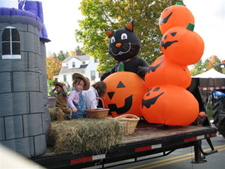 With such a great location, it is easy to attend the various events held throughout Vermont's Northeast Kingdom. While the Burke Town website highlights our most local area events, we encourage you to visit the regional travel and tourism website, www.TraveltheKingdom.com, to view a complete list of events happening in the Kingdom.